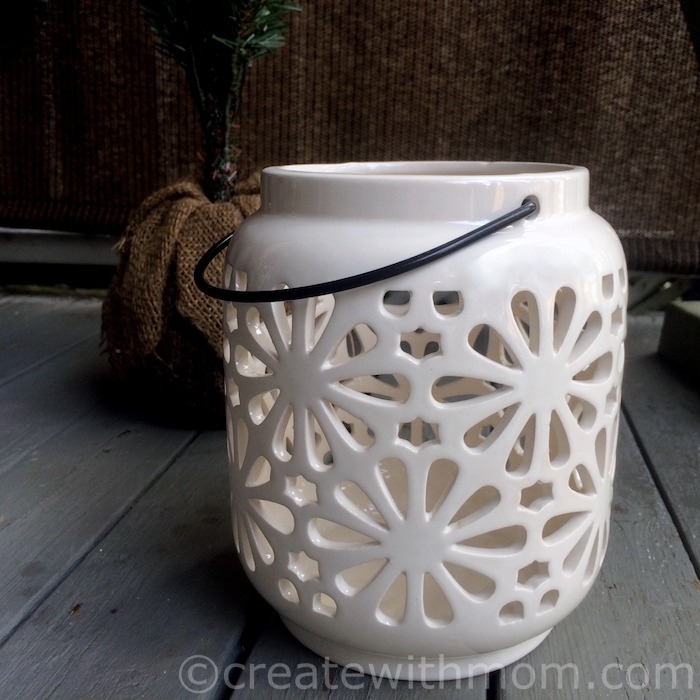 This Lights in Bloom Round Ceramic Lantern is perfect outdoors. It will make the outdoor space ready for all the upcoming spring and summer celebrations. I have left our lantern as a table placement on our patio, there is also an option of hanging it up. The GardenFair Fairy Door and Fairy Figurines from the Hallmark's new GardenFair line is beautiful to place among blooming flowers. I like how the GardenFair fairy door looks among the plants. 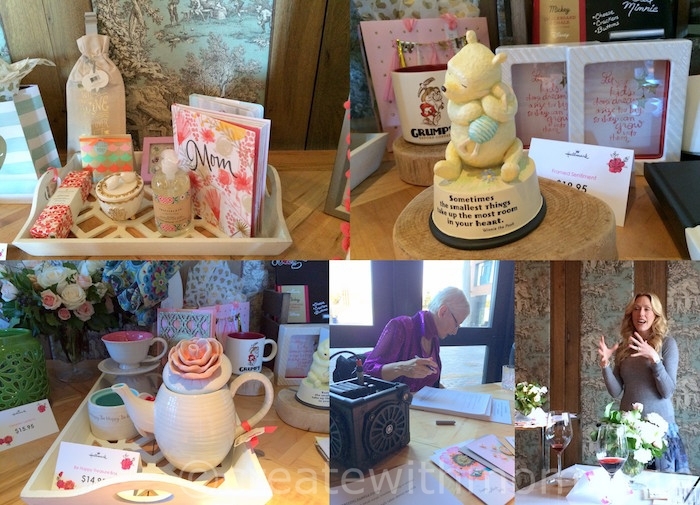 I also checked out a few other Mother's day themed Hallmark goodies at a fabulous "Behind the Letter" Hallmark event hosted by Shoana Jensen. At the event, Graphologist Elaine Charal analyzed individual handwriting, and told us how our handwriting portrays our personality. I enjoyed learning about it and appreciating handwriting more. 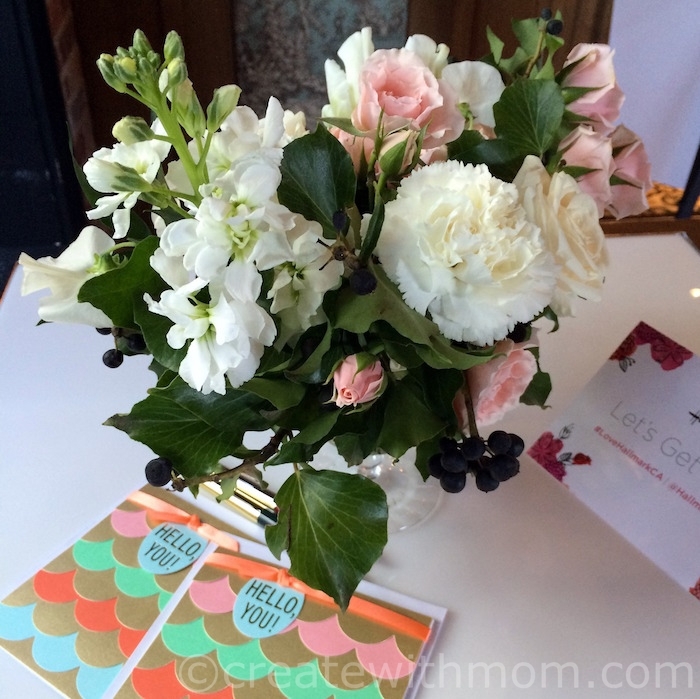 Giving a handwritten note like a Hallmark card can mean a lot to both the receiver and the sender. If you are in Canada and would like to win a Hallmark Mini Disney chalkboard with chalk enter the giveaway through the rafflecopter below before May 17th. 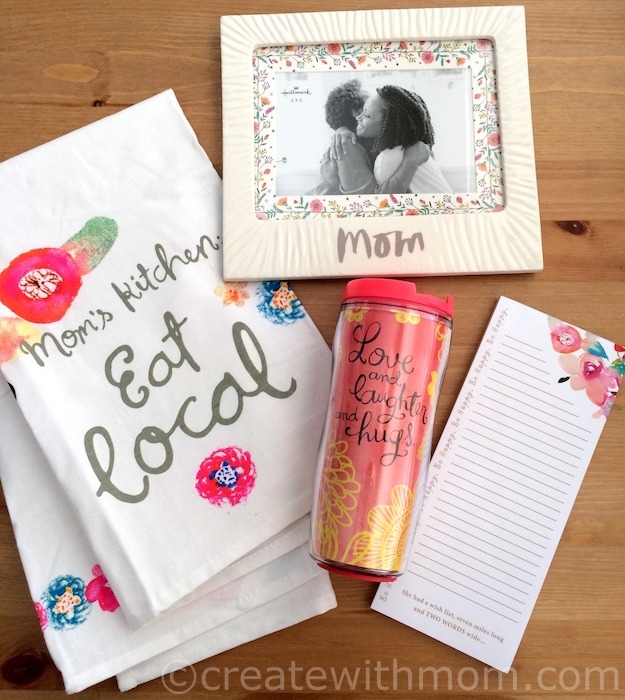 Please leave comments and follow my social media links to be eligible to win. 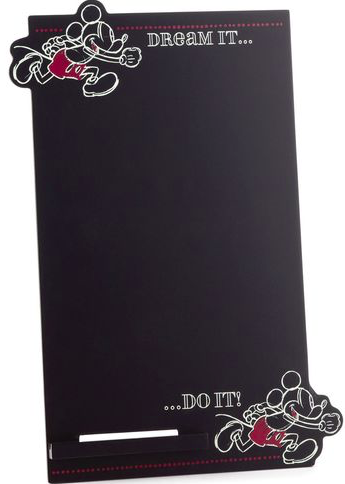 This Mickey Mouse chalkboard will keep you on task with notes, grocery lists, chores and more. With a motivating motto and neutral colour, this versatile blackboard can work in any room of the home. I live in Northern Ontario. I really like the fairy house. I have a thing for them. I live in Northern Ontario. I really like the Fairy house. I live in Alberta! This chalkboard would come in very handy here, especially for reminders and lists. I absolutely love the GardenFair line, would just love it. I also really love the pillow. Very pretty. I'm from Ontario. This would definitely be helpful in my house. We currently use a notepad that falls on the floor constantly. I also love the fairy gifts!! I am in BC. yes,it would bemost helful in our household! 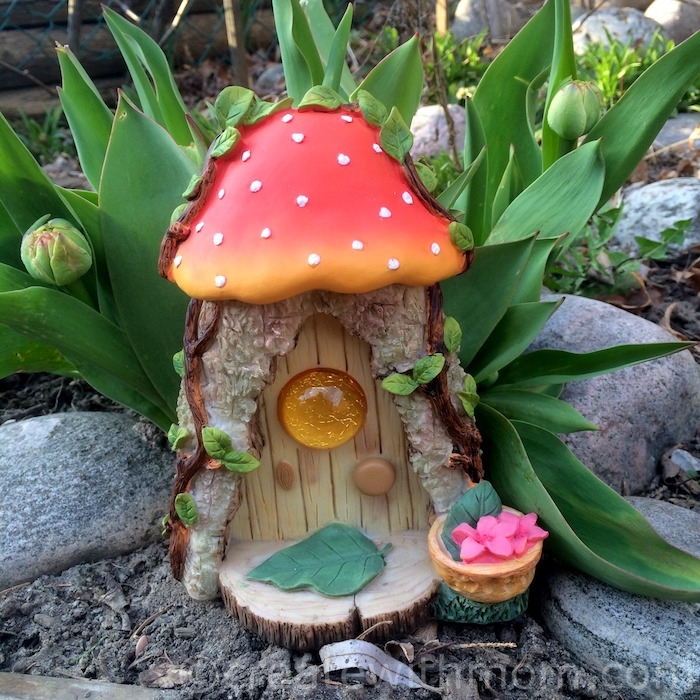 I just adore the GardenFair Fairy Door and Fairy Figurines. I live in Ontario love the fairy door. I would use the chalk board at my desk at work. I live in BC and this chalkboard is exactly what my mom needs now that she has notes everywhere. I live in Ontario and this chalkboard would work great for notes to each other. Love the lantern. I live in Alberta. The chalkboard would be wonderful for me; I need to write myself notes nowadays! I really heart the Lights in Bloom Round Ceramic Lantern. Would look lovely on the patio. I am from Newfoundland and would use the chalkboard in my kitchen. I also like the Lights in Bloom Round Ceramic Lantern. I am in BC. I think the chalkboard is perfect in the kitchen to remind the kids what's on the menu. I also love the teapot! so cute! this chalkboard would come in very handy!! Writing things down makes them come true! I also love the fairy door and figurines!! oops, forgot to say I live in Ontario! This would come in handy for my grocery list. I like the teapot very much. hi, I live in SK and I would use the chalkboard to leave notes to hubby about what he's to make to eat for himself each day (I work til 9:30 at night) . 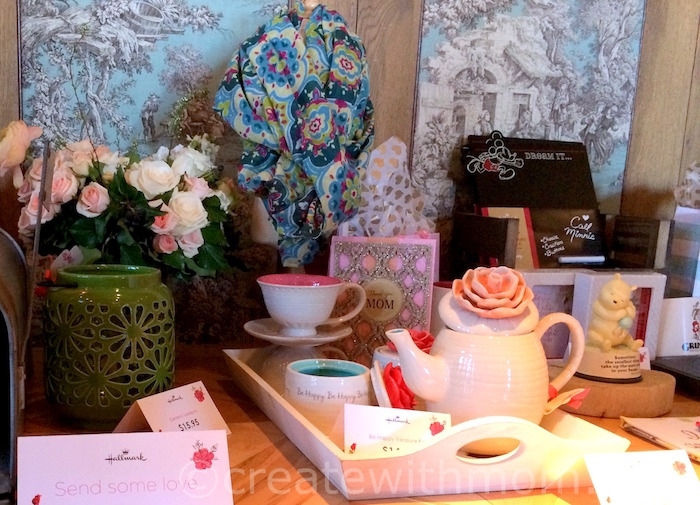 I love that teapot, and would prob use it!! I live in Alberta and I would use this chalk board in my kitchen. 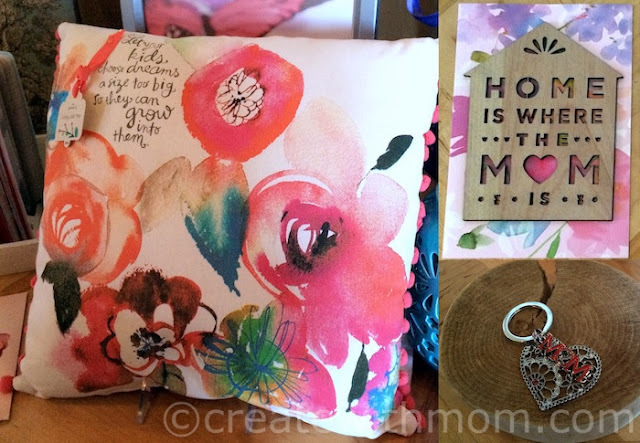 I love the picture frames in this post! I live in Alberta and this chalkboard would be very handy in my house! I live in AB and yes, the chalk board would come in handy at my house. I love the guarden fairy door, I will have to go shopping! I live in ON, and I'd use this chalkboard in my office! I love the teapot too! I am from Ontario and I would put chore lists for my kids on it. I live in Ontario and this would be perfect to keep track of weekly activities for my 2 girls. I really like the fairy door too! I live in Ontario. I think the chalkboard would be useful and fun. I also like the GardenFair Fairy Door and Fairy Figurines. I live in Nova Scotia. This chalkboard would be great for leaving messages for each other. I also like the Hallmark Tea Towels. We live in Ontario here! The chalkboard would be fantastic in my kitchen....I also like the Lights in Bloom Round Ceramic Lantern! I live in NB and this chalk board would be nice in my kitchen. I also like the tea towels. I live in Ontario. I will definitely make use of the chalkboard as I need to have reminder notes for things to do. I love the fairy door as well, so sweet. I live in BC. I'd love this chalkboard because I hate the dry erase boards with markers that dry out or kids take.